Speaking at the AdWatch: Outlook 2004 conference at the New York Sheraton Hotel and Towers, Mr. Light described the concept as one marking “the end of brand positioning as we know it.” He went on to say that effective marketing should use many stories rather than employing one message to reach everyone. In effect, he declared that McDonald’s was abandoning the universal message concept. 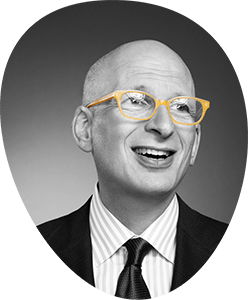 He went on to define brand journalism, which he also referred to as a brand narrative or brand chronicle, as a way to record “what happens to a brand in the world,” and create ad communications that, over time, can tell a whole story of a brand. My take? Yay for Larry for realizing that monthilic marketing is broken. 1. changing the marketing without changing the underpinnings of the business is almost always a bad strategy. If all the people, the systems, the real estate, the factories and the menus are organized around monolithic marketing, slapping a little brand journalism on top isn’t going to work awfully well. 2. The marketer doesn’t get to run the conversation. It’s not really brand journalism that’s happening, you see. It’s brand cocktail party! You get to set the table and invite the first batch of guests, but after that the conversation is going to happen with or without you. 1. Start your own brand of lightly sweetened caffeine free iced tea. 10% the sugar of Coke. 4 times the profit. A brand you can own. A way to significantly impact the health of the world. Phase out Coke. Completely. 2. Offer a free DVD of the award-winning SuperSize Me! documentary with every iced tea sold. 3. Challenge every store to offer something new and real and local and remarkable on the menu. Diversify times 100. 4. Bend over backwards to host meetups in your stores. Keep up with the free wifi. Sponsor soccer teams and girl guides and the astronomy club. Put chess tables on the placemats. Use the real estate advantage to create a place where people meet.